The second wave of the world economic depression is coming soon. Larry Summers, the economics czar of the Wall Street puppet regime currently in power in Washington, recently confessed to the Financial Times in an unguarded moment: “I don’t think the worst is over ..” A few weeks earlier, Jacques Attali, who served in the 1980s as the main economics adviser to French President Mitterrand, told an audience at the International Economic and Financial Forum (FIEF) in Paris that the world might well soon face a planetary Weimar “in the form of a hyperinflationary depression similar to the German events of 1922 – 1923. During the last world economic depression, the first wave came in the form of the famous New York Stock market crash of October 1929. But this was only the beginning, and hardly the main event. The world depression of the 1930s was made irreversible by the British bankruptcy of September 1931, when the Bank of England ceased gold payment. At that time, the vast majority of international trade was financed by pounds sterling bills of exchange drawn on London. When the British Pound began to float through a series of competitive devaluations, the lack of a stable reserve currency – and not the US Hawley-Smoot tariff – strangled world trade, thus making that depression as severe as it was. British default in turn undermined the US banking system, setting the stage for the banking panic which ravaged the United States in 1932 and 1933, to the point that not a single bank in the country was still operating by the time Franklin D. Roosevelt assumed the presidency in March of 1933. The United States would almost certainly have been lashed by additional waves of depression had it not been for the banking triage implemented by the Roosevelt administration during the bank holiday, and for other New Deal measures which succeeded in mitigating the Depression. Other countries, notably Germany, went into a permanent depression which was expressed in a series of military campaigns which aimed at the economic looting of the other countries of Europe. Whatever the ideological fanatics of the discredited Austria and Chicago schools of economic analysis may claim, there is no automatic business cycle capable of lifting the modern world out of serious economic disintegration. The depression will end when adequate New Deal style policies are implemented, and not before, as I show in my new book, the second edition of Surviving the Cataclysm. Today, therefore, we are, so to speak, in the trough between the October 1929 wave (which corresponds to the derivatives crisis and banking panic of 2008) and the September 1931 wave, which this time around is highly likely to take the form of a hyperinflationary dollar crisis, or in other words a hyper stagflation and depression of the world economy radiating out from Wall Street and the City of London. What then might be the leading characteristics of the next wave of the current world economic breakdown crisis? The next wave is likely to involve a worldwide dollar panic. Using ballpark figures, we can say that there are about $4 to $5 trillion sloshing around the world in the form of hot money, US Treasury securities, Euro dollars, and various forms of zeno-dollars. Japan has about a trillion, China almost $2 trillion, and so forth. It is naturally very unwise for a developing country like China to hold so many dollars rather than using them to purchase needed infrastructure and capital goods, and the Chinese leaders are now very uncomfortable with their own foolish decision, which was of course taken under heavy US pressure. But the point is that this $4.5 trillion overhang is by its very nature exceedingly unstable. Every country that holds large sums of dollars or US Treasury bonds is nervously eyeing every other such country to see if they show signs of bolting for the exit. Up to now, so far as we know, no large holder of dollars has attempted to reduce its exposure to the battered greenback by dumping these dollars on the international market. If anyone did so, it would cause a true universal financial panic which would create chaos and mayhem not just in the United States and Great Britain, but in the vast areas of the rest of the world as well. This is concretely how hyperinflation could now very well arise: if one or more US creditor nations attempts to abruptly lighten up on dollars, the value of the US currency could undergo a catastrophic collapse, and that would spell runaway hyperinflation on the US domestic front. We need to recall that the value of a modern currency is not determined inside the country, but rather on the international foreign exchange markets. This is where the fatal vulnerability of the US dollar is located. In the ruined form of the Bretton Woods system which has prevailed for almost 40 years since Nixon’s colossal historical vandalism of August 15, 1971, the US has emerged as the only country with a permanent license to finance imports by simply printing more of its own currency and sending those banknotes overseas. Every other country has to manufacture and export something that others want to buy in order to earn the necessary foreign exchange to pay for its own imports. The US license to print has made this country the buyer of last resort and the dumping ground for the unsold junk of the world, leading in the process to high permanent unemployment here. There are many signs that this inherently unworkable arrangement has now reached the breaking point. Ms. Ellen Brown, who apparently supports the doctrines of the social credit movement of the 1930s, has recently argued that deflation is now on the agenda, and that hyperinflation can be ruled out. She bases this analysis on the fact that the private credit markets in this country have largely collapsed, and on the contention that the M1 and M2 money parameters have either declined or increased only slightly. But all of this is beside the point. The Federal Reserve and the Treasury have so far provided almost $13 trillion of new loans to banks, insurance companies, credit card companies, and other purely financial institutions. This is being done in an effort to bailout the $1.5 quadrillion world derivatives bubble, of which something like two-thirds or more, meaning one quadrillion dollars, can be located inside the dollar zone. 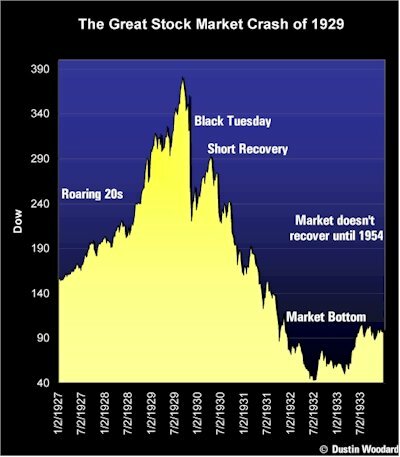 The world depression started when this derivatives bubble went into reverse leverage, meaning that super losses instead of super profits were generated at the apex of the speculative pyramid, as seen in the case of the $3 trillion AIG hedge fund located in London. The Obama regime is engaged in an hysterical attempt to restart derivatives production in the form of securitization, i.e. the creation of more and better asset backed securities derivatives. At the same time, the Obama regime has cynically and deliberately driven the Detroit automakers into bankruptcy, destroying hundreds of thousands of the few remaining industrial jobs here in the United States. This means that US industrial production continues in drastic decline. The mere mention of production reminds us that the assorted Austrian, Chicago, and social credit schools are predominantly or exclusively concerned with money and banking, and pay little or no attention to industrial, agricultural, and infrastructural production, meaning of course that they neglect the creation of those tangible physical use values, capital goods, and related forms of real wealth upon which human existence depends. With bailouts increasing and all forms of commodity production declining, we have the classic situation of far too much money chasing too few goods. Internal pressure towards hyperinflation comes from the fact that the bailout and public debt lending, on top of the bloated, fictitious, and exponentially growing mass of kited derivatives, are all charges which must be added to the prices of commodity production. Add this to the more important factor of looming dollar panic in the international exchanges, and the preponderance of the evidence points towards hyperinflation. “Helicopter Ben” Bernanke got his name from his famous recipe of throwing bales of dollars out of helicopters onto the lawns of bankers to stimulate the economy out of a depression, and this reminds us that the profile of the Anglo-American financial leadership from Gordon Brown, Alistair Darling, and Mervyn King to Summers, Geithner, and Bernanke is decidedly hyperinflationary. Ms. Brown’s belief that hyperinflation is impossible is therefore mistaken. The German 1923 hyperinflation was generated internationally, not within Germany, as a campaign of economic warfare by Britain and France against their defeated rival. Germany had signed the Rapallo agreements with Soviet Russia, creating an economic combination which was more than a match for the Anglo-French. To abort the potential of Rapallo by creating chaos in the German economy, the Anglo-French systematically destroyed the value of the German Reichsmark on the international exchanges, taking advantage of the Versailles reparations system and the French occupation of the industrialized Ruhr area. The mark went down every day when the London exchange rate was announced. Today, it is the enormous international dollar overhang which threatens to annihilate the US greenback. The one way deflation might actually come about is if someone like the self-professed Austrian school ideologue Ron Paul were to take power. Ron Pauls “libertarianism” alternative to Obama’s continued bailouts of Wall Street is evidently an immediate deflationary crash, which he asserts will be followed by an automatic recovery. Ron Paul is a modern representative of the so-called liquidationist school to which 1920s Treasury Secretary Andrew Mellon belonged. Mellon demanded the liquidation of stocks, bonds, real estate, and labor. German Chancellor Heinrich Brüning, another liquidationist, savagely cut German unemployment benefits (Ron Paul’s “nanny state”) at the height of the Depression, helping to bring on the debacle of January 1933. Liquidationists tend to be people who have money and who believe they will continue to have money even after an all-out crash, when they will be able to buy up distressed assets and desperate unemployed workers for rock-bottom prices and cash in. But liquidationism obviously cannot be a solution to depression of the entire society. The recent meetings of the leaders of the expanded G-8 countries in L’Aquila, Italy were marked by a growing awareness that the US dollar, because of the criminally irresponsible policies of the Wall Street financiers who have dominated the Bush and Obama administrations, can no longer play the role of the single world reserve currency. Russian President Medvedev showed off a sort of future world coin to try to prod the Obama regime in the direction of serious world monetary reform, which is of course the urgent task before everyone. Naturally, finance oligarchs like Summers, Geithner, and Bernanke want to continue to play the role of world currency dictators, and not be forced to negotiate the end of Anglo-American hegemonism. The world needs to go toward a new pro-growth world monetary system in which the euro, the yen, the dollar, the ruble, the Chinese yuan, a possible Latin American monetary unit, and a possible Arab monetary unit would all be included. It will be important to make the transition toward such a new system as orderly as possible, since a catastrophic collapse of the dollar in the short term would be to no one’s advantage, and would rather represent a sure path to universal ruin. World economic growth rates under the 1944 to 1971 Bretton Woods system were the highest in recorded history before or since. This was accomplished through statism and dirigism in the form of narrow bands of isolation among the currencies, combined with gold settlements of surpluses and deficits among the nations, which provided an indispensable reality principle to restrain the hyperinflationary tendencies of the Anglo-Americans. The new world monetary system should include the abolition of the International Monetary Fund and the World Bank in their current forms, since these institutions have strangled the economic progress of the developing sector. Rather, the goal of the new monetary system should be to restart the export of high technology capital goods of the most modern type from Europe, Japan, and the United States toward the impoverished countries of Africa, South Asia, and certain parts of Latin America. Here in the United States, we need to wipe out the derivatives bubble with the help of a 1% Tobin tax or securities transfer tax, on all speculative financial transactions, including futures, options, stocks, bonds, commodities, foreign exchange, and so forth. A California Tobin tax would solve the state budget crisis. The top 16 Wall Street banks are zombie institutions that need to be seized and liquidated under Chapter 7 bankruptcy at once, with all of their derivatives going into the shredder. Foreclosures on homes, farms, and businesses should be banned outright for five years or for the duration of the depression, which ever lasts longer. To provide a credit supply, the Federal Reserve should be seized and nationalized, and used as a vehicle to issue 0% Federal credit for productive activities only, not for speculation. To revive credit demand, state and local governments could then take out 0% Federal loans for such long overdue projects as the construction of 1,000 hospitals, the building of 50,000 miles of modern maglev rail systems, and 100 fourth-generation, high temperature, pebble bed nuclear reactors, plus the rebuilding of water systems and the interstate highway network. Idled auto plants should be reconverted for these purposes. Science drivers in the fields of space exploration and colonization, high energy physics, and biomedical research should also be fully funded in this way to provide technological modernization. The social safety net needs to be expanded and developed, with larger Social Security pensions for a generation whose 401(k)s and IRAs have been largely destroyed, along with increased Medicare and Medicaid benefits for those whose insurance companies are insolvent, like AIG and The Hartford, which have been devastated by derivatives speculation. These are quite simply the requirements for the maintenance of human civilization in this part of the world. Until measures like these are carried out, the United States and the world will continue to sink deeper into the bottomless pit of economic depression. Webster Tarpley is an economic historian, radio host and author of 9/11 Synthetic Terror: Made in USA, Obama, The Postmodern Coup and Surviving The Cataclysm and other books.